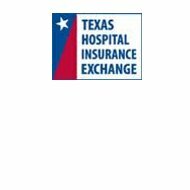 The Texas Hospital Insurance Exchange Company serves the health insurance needs of Texas hospitals. Founded in 1975, it is located in northwest Austin in the Prominent Point Office Park. With more than 30 years of experience in the field of hospital insurance, it offers competitive products and expertise in all aspects of medical professional liability. From policies covering medical liabilities to consultations on risk management and in-service education programs, the Texas Hospital Insurance Exchange Company strives to cover all the needs of small rural hospitals. In 2006, THIE announced they would cut their insurance rates by 16%. It also awards $5,000 grants each to member hospitals that develop projects improving patient safety and/or initiate procedures aimed at reducing patient readmissions occurring within 30 days of their discharge. 91% of their subscribers rate THIE customer services very good to excellent. This insurance offers the best coverage available against legal liability that may result from errors or negligence. Experts in risk management will work with you to reduce costs and limit the number of claims, while working toward a safer environment for the patients in your hospital. At the beginning of each contract year, your premiums will be based on your facility’s range of exposures and experiences. The THIE exchange has a wide range of policies covering hospital employees for work-related injuries or illnesses. It also gives protection to employees when faced with additional liability. These policies have several options, from guaranteed cost to various deductibles, along with interest-free payment plans and a $1 million liability limit for employers. When accidents due to acts of negligence or omissions happen, the THIE general liability program will protect your hospital from claims by the general public. These policies protect the hospital from legal liability and physical damages caused by a hospital vehicle. Emergency vehicles can be covered as well as non-owned vehicles. This is an insurance policy specifically designed to offer coverage in case of contamination of hospital property, expenses incurred during the evacuation of patients, and many other instances specific to the hospital market. This coverage is offered through a partnership with Blais Excess and Surplus Agency of Texas. To meet the needs of small rural hospitals, THIE can provide them with administration services staffed with knowledgeable insurance experts. This service will help you manage all insurance claims in the most effective manner. Samples of policies, forms, etc. The company initiated this plan in 2011. It is making available a refund plan for its subscribers who have adequate money in their surplus account. It makes them eligible for a check representing 11 % of their 2011 renewal premiums. It is not a discount on premiums but an actual refund check. Do not delay to get the health insurance quotes you need. Just enter your zip code in the free rates box right now.